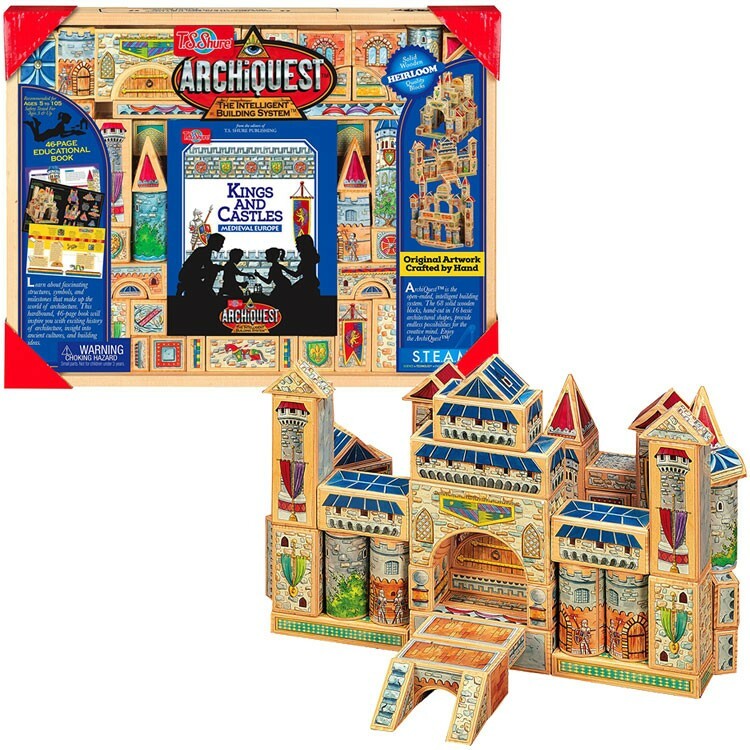 This kids castle building blocks set from Shure's ArchiQuest includes 68 laminated wooden blocks, hand-painted to look like parts of buildings from Medieval Europe. ArchiQuest's amazing construction systems are designed to enlighten children's imagination and design unique historic buildings. Being one of Shure's toy brands, these intelligent building sets bring history for kids as fun and creative toy that allow children to build their own themed models. 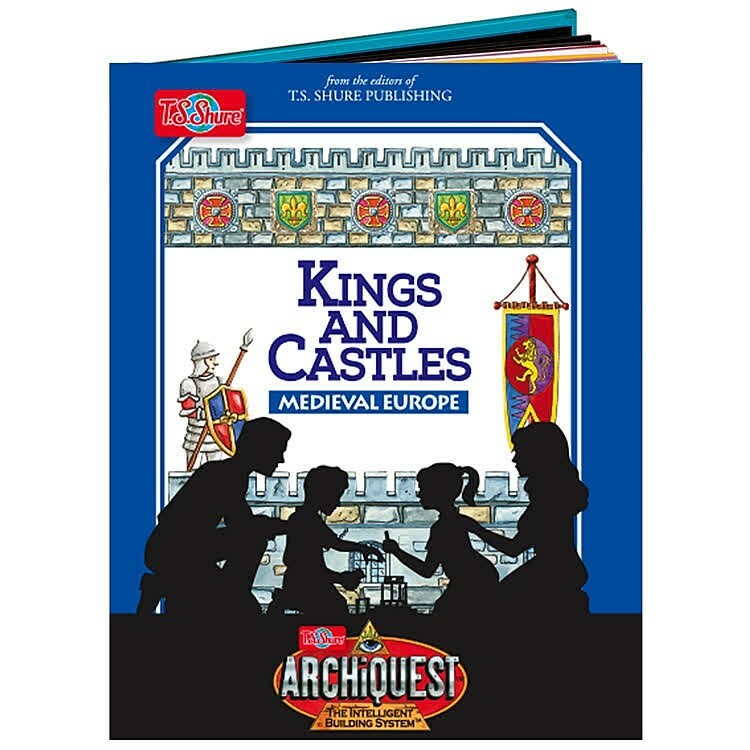 With our Kings and Castles ArchiQuest Wooden Blocks Building Set young architects can build Medieval European structures such as chapels, castles, fortresses, and towers. 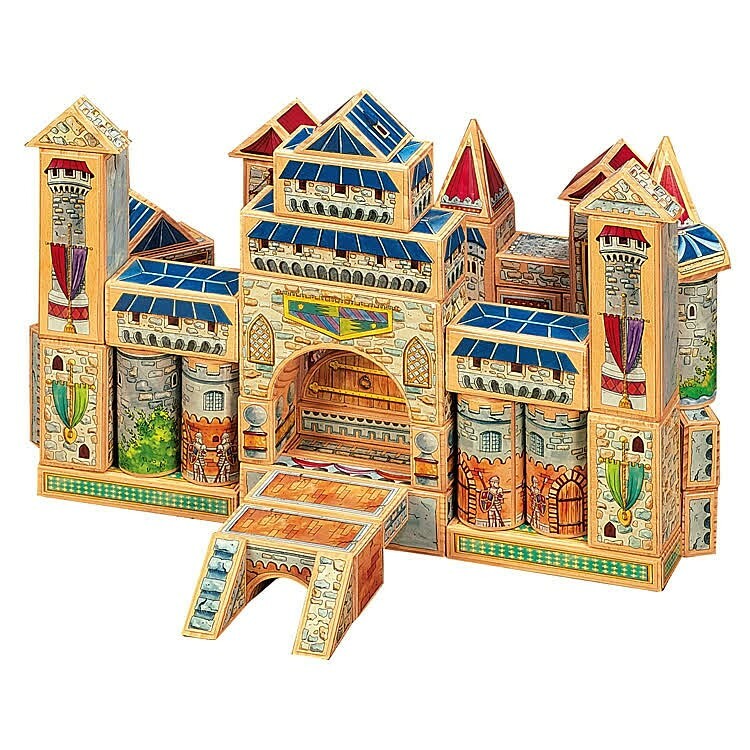 This kids architectural set from Educational Toys Planet includes 68 laminated wooden blocks, hand-painted to look like parts of buildings from Medieval Europe. 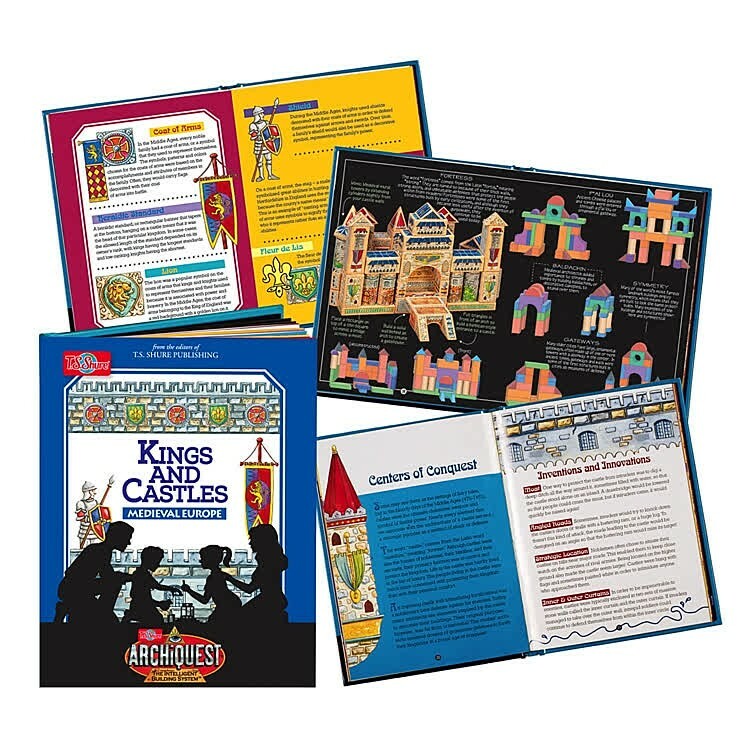 The Kings and Castles ArchiQuest Wooden Blocks Building Set comes with a 46-page full-color educational booklet about the Middle Ages history, castles and other architectural highlights of this period. This building toy will let your young architect to build a castle, a chapel or a fortress using the ideas from the book or inspired by his own design ideas. 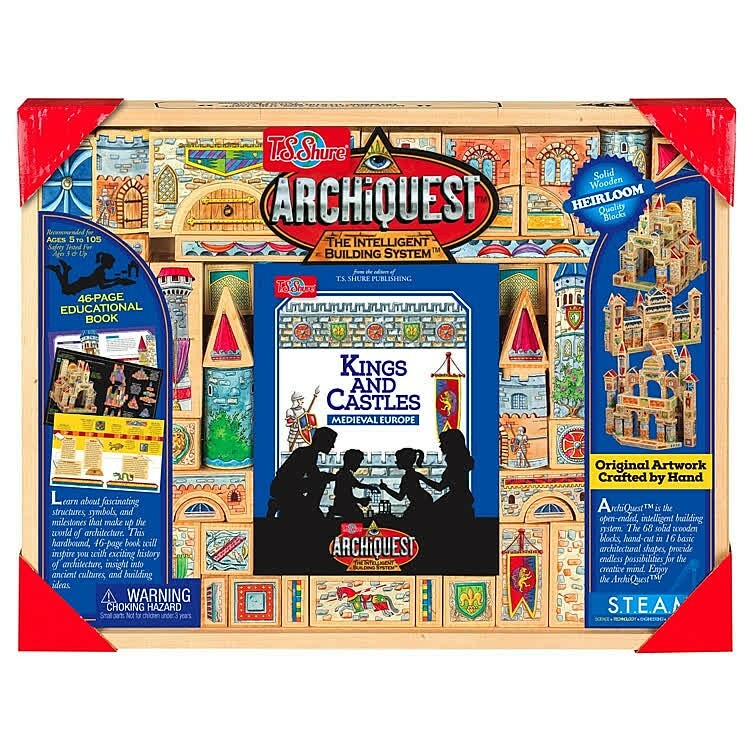 The Kings and Castles ArchiQuest construction set is packaged in a wooden storage box with a clear lid for easy access to the colorful blocks. Dimensions of package 1.5" x 15" x 12"
Write your own review of Kings and Castles ArchiQuest Wooden Blocks Building Set.